On a sunny Sunday in August we had our very successful Duck Race. Thank you to everyone who purchased tickets, entered the ‘Go Quackers’ competition and came along for tea and cakes on the day! 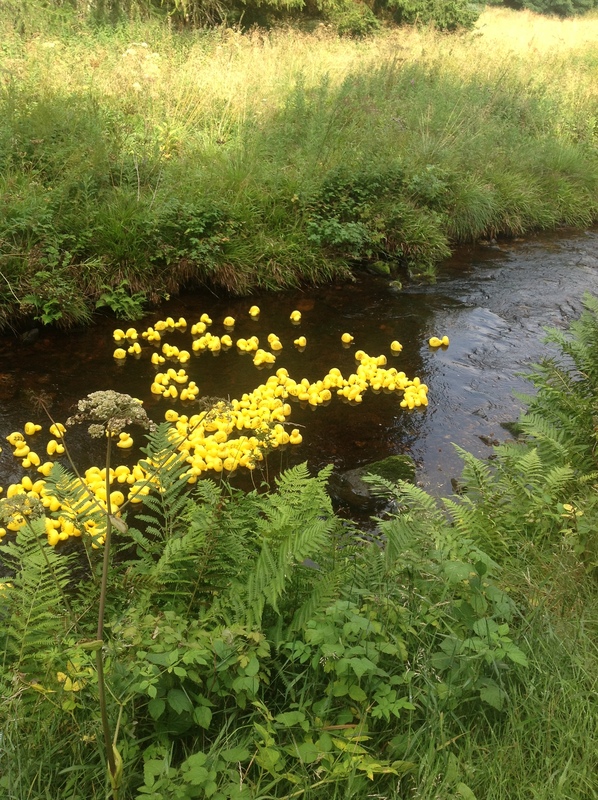 We sold all 500 ducks and a few extras so it was a great to see them all launched into the burn to begin the race! Winners were, 1st S Brown, 2nd A Hillgarth, 3rd K Nunn. Posted on 05/09/2013 by Secretary GCA.